March is Bisexual Health Awareness Month! On February 27 and 28th, Sally, Timid then Camille and I had the chance to table at the Opportunity Conference: Advancing LBGTQ Health, at the University of Minnesota Continuing Education Event Center in St Paul. It was hosted by the Rainbow Health Initiative and sponsored by many, chief among them UnitedHealth Group, also Allina Health, Children’s Minnesota, Health Partners, Mayo Clinic, MN Department of Human Services, Pride Institute, Stagetime Productions, HealthEast, Meridian Behavioral Health-Latitudes Programs, Twin Cities Pride, Right at Home, Rural AIDS Action Network, Family Tree Clinic, MN AIDS Project, NuWay House, and Stratis Health. Sessions included topics on LBGTQ clients and substance use and mental health; prostate cancer treatment for older gay men; mentorship experiences of LBGTQ undergrads pursuing health careers; transgender health barriers and risks; bisexual erasure, stigma and resistance; Tobacco use among marginalized populations; minority stress and mental illness, intersectionality among POC; and dementia in older populations. Richard Carlbom spoke about conversations with lawmakers on our topics and issues, Dr Gary Gates addressed his plenary on the demographics of coming out, and Dr Beverly Greene covered ethnoracial and sexual minority intersections in health. Nami Connections is a recovery support group for adults with mental illness regardless of their diagnosis. 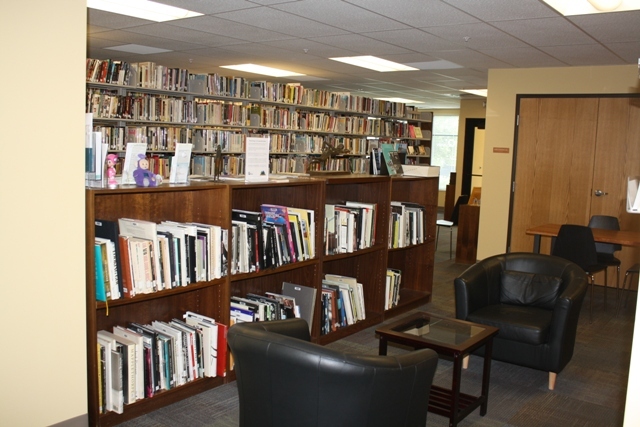 Every group is offered free of charge and meets weekly for 90 minutes. All are led by trained individuals who are also in recovery - people who understand the challenges we face. Nami Connection groups offer a flexible and casual environment without an educational format, and no registration or enrollment obligation is required. Meet our Board Chair, Leah Yoemans! Leah Yoemans is our new BOP Board of Directors Chairwoman, and she is a human dynamo. She’s been busy since elected in January making much needed changes in our online presence and in planning, and forming new alliances. She’s originally from Minnesota but has spent time living in Georgia and California too. She’s married and has two kids. 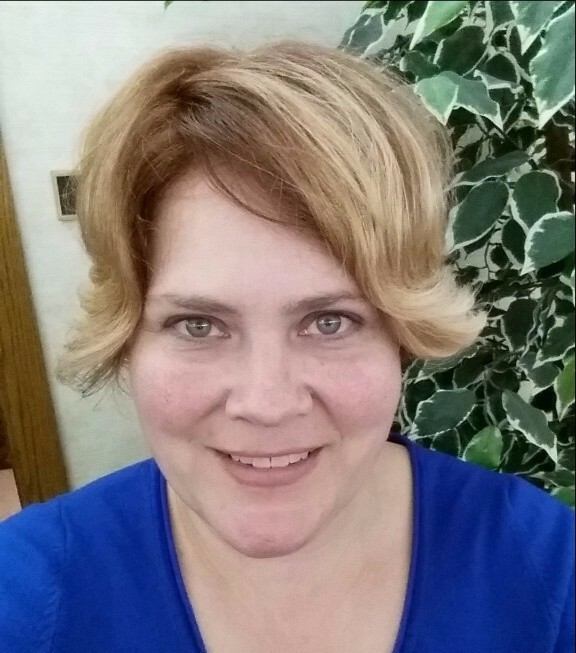 Leah is a K8 science educator, STEM specialist, currently teaching in a south suburban elementary school. She has volunteered in LBGTQ and homeless organizations. She first got involved with BOP through attending the monthly discussion group at the South Side Cafe. She feels participation in this group helped her connect with the community, as they talked about identity and Bi+ issues. She also went to the BECAUSE conference for the past three years, and had amazing experiences, was overwhelmed by the amount of information and support there, and formed many friendships with other conference attendees. She had been thinking about joining the BOP board for a couple of years, but time always seemed to be the issue holding her back. Time is still tight but she has committed herself to making more time for social justice and community support. She is really excited about our strategic planning retreat results, we’ve come away having created a plan for the future, a roadmap for future boards articulating what needs to happen in the next few years. As chair she is looking forward to growing BOP membership, member participation and involvement and developing a stronger organization. Specifically Leah wants to increase community building, advocacy and education, continue to grow BOP partnerships with other groups and individuals, and to organize events for BOP membership. She calls on members to get more involved in BOP by helping to financially support our organization, and although our membership is free, we can go to the website and donate at whatever level we feel we can contribute. 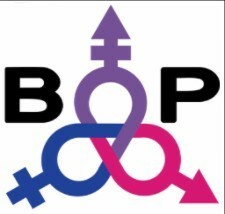 We can also volunteer for BOP events, especially BECAUSE and PRIDE, and there are local opportunities to table at other groups’ events. We can create events on the BOP Meetup site. If you want to get together for dinner and drinks, walk around the lake, go to a movie, list an event and invite other members. She is also seeking us to be present at current programming and existing activities. Leah says she’s happy about the people on our new board, she describes us as a fantastic bunch of people, passionate about leading, with interesting backgrounds and different skill sets. She expects good things and hopes to serve the community with a lot of revitalized energy. Meet Board Director At-Large, Sarah Sharp! I met Sarah Sharp at the BOP Annual Board Meeting in January of this year. I was impressed by this young woman immediately. She’s smart, committed to social justice and fervent about her many interests and activities. I talked to her on the car trip to Osceola, Wisconsin where we attended the new BOP board strategic planning retreat. She is from South Minneapolis, but has moved after high school to the far western suburbs of Minneapolis. She said she adored living in South, and credits it with shaping her early life. She is from a small family, just her and her parents, but they get together with lots of relatives on the holidays. I asked her when she first realized she was bisexual. She related how she had an inkling in preschool, she liked to ride the little train and try to get the girls to play “Cops and Robbers”. But it wasn’t until high school at a “Stand Up Speak Out”, event when an older student who was a lesbian spoke about LBGTQ issues, that she thought, “Maybe I do like girls? 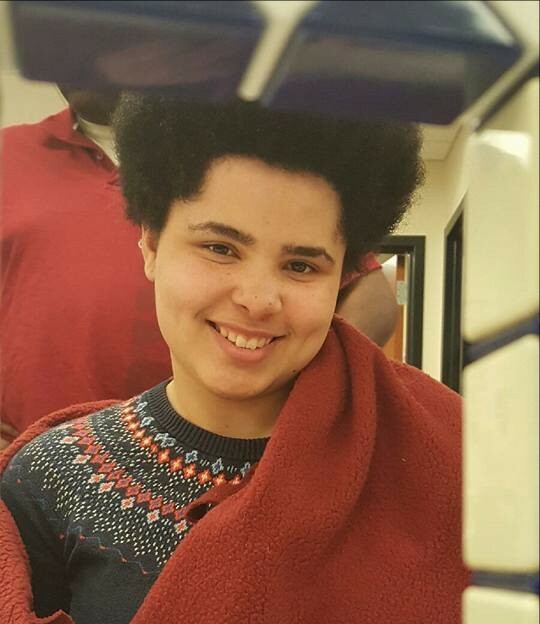 !” She came out in sophomore year, and remembers starting to wear a tie to school. Which she adds may have been more about nonconforming gender identity. She was having a discussion with her parents when she came out to them. They had expressed concern that she didn’t hang around any boys or had gone on any dates. She made a comment about her mother’s hairstyle, referring it as “butch”, and her mother asked, “Why would you think that? Are you gay?” And to that, Sarah announced, “I’m bisexual!” I asked Sarah if she is in a relationship currently, and she replied, “I’m fabulously single!" She would like someone who can embrace her fluidity, as she can present masculine and sometimes feminine. They would have to be creative and intellectual, read a lot of books, and be able to discuss and explore the world with her. She works at Minneapolis Community and Technical College, in Equity and Inclusion. She is also currently interning with the Better Futures Minnesota organization that assists men in adjustment for reentry to society. She is also a student earning her BA in social work. In her spare time, she is a member of a band that performs Funk, Jazz, R&B, and some Latin tunes. Sarah plays the saxophone and flute. One fun thing she want BOPs members to know about her is that she is a music buff. Her favorite artists/groups include Steely Dan, Tupac, David Sanborn, Prince, Sting, and Chopin. She also has a voracious appetite for knowledge. She has researched everything from photons to why people lose their accent when they sing. She describes herself as serious, with a quirky sense of humor, she loves reading, has a lot of career drive, and is passionate about life. I had a talk with Marge Charmoli about BiCities a television program featured on the local cable tv channels in Minneapolis and St Paul. It is a format that interviews Bi folks, LBGTQ organizations, and allies and their aim is to educate the public at large about bisexual people, increase visibility and promote bi-related projects like the Because conference and Pride weekend. The show has also featured national and international bi celebrities like Robin Ochs and Ron Fox and local delegates to the White House policy forum on Bisexuality in 2014. 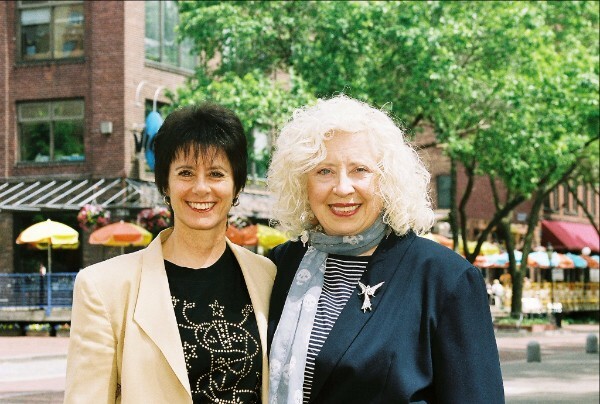 It was started in 2002 by founders Bill Burleson who was the producer until 2007, Marge Charmoli and Anita Kozan. The show has had a 13 year run, and this will be their 15 year anniversary on air. They have produced around 300 shows until 2015 when the studio space had to relocate. Now BiCities has a studio location secured but needs a new director and camera crew. You could be part of this exciting team and make an critical impact in the community, just contact Marge at drcharmoli@drcharmoli.com. Ashley sat down with me recently at a local coffee shop to talk about the BOP Bi-Weekly Writers group that she facilitates. For her it started when she attended a AWP, the Association of Writers and Writing Programs in Minneapolis in 2015, and stopped at the LAMBDA Literary table there, whose host informed her that for there to be a Bisexual category, they needed 10 entries in each writing type. She has helped her friend edit a memoir for publication which has successfully gone to press, and she is currently working on a PhD in English at the University of Minnesota. She has published one creative non-fiction piece with a literary journal, and has experience in creative writing, editing and teaching writing to college students. Ashley has led this BOP Meetup Writing group for about 6 months now. I asked her what BOP members who want to participate in the writing group can expect to find when they attend a meeting. She recommends they bring a selection to read aloud to the group, and be up front about with the other members about what kind of help and feedback they want. Be prepared to bring a sample of whatever genre you are working on: about three poems, a chapter of a novel or memoir, an essay or a story. She relates that encouragement of new writers is critical as we may not even believe we’re writers until we’re in an environment that helps us see what we can do. As for Ashley, working with her friend on his manuscript has pushed her to write a memoir of her own. All are welcome at the meeting. Please check the BOP Meetup site for dates, times and locations. Hi, my name is Cary, and I am the facilitator for the book club. We meet every first Wednesday evening from 7 - 9pm at the Quatrefoil Library, 1220 E Lake Street, in South Minneapolis. It is on the ground floor of the Spirit of the Lake apartment building just past Heart of the Beast Theater as you’re driving west on Lake. The number 21 Metro Transit bus stops at the corner. There is free parking in the lot behind the building. It is handicap accessible. We have had a regular number of members show for our book club events, and we have had some lively and stimulating conversations about the book, our experiences, Bi+ issues and identities. We read books about Bi+ characters or written by Bi+ authors. So far we have read the comic anthology, Anything That Loves, Comics Beyond ”Gay” and “Straight”, edited by Charles “Zan” Christiansen; a memoir, A Cup of Water Under My Bed by Daisy Hernandez; poetry by Edna St Vincent Millay; Giovanni’s Room by James Baldwin; Sirena Selena, by Mayra Santos-Fuentes, about a young transgender chanteuse; and for April, Euphoria by Lily King, a fiction based on the fieldwork of Margaret Mead, very suspenseful and chilling; and City of Devi by Manil Suri, about a dystopian future for May’s book club meeting. We ask that you read the book beforehand, but if you don’t finish in time, come anyway. You can find out what you missed and catch up with the story. We’re a fun group, easy to talk to, and the discussion questions and book selection are posted on the BOP Meetup site with plenty of time to read and reflect. I try to select books that you can get at the local libraries so don’t feel you have to buy them. I do and then donate them to the Quatrefoil, to increase their Bi+ offerings. So we hope to see you next month at the Quatrefoil! I met Vera Sky at the Central Library to chat about her work with the BOP Meetup Discussion Group, formerly known as the Bi Salon. She has been leading the group for about 3 years now, but is moving soon to join her partner in Seattle, so she will be stepping down as the facilitator. She shared a little history with me about how the group got started by Bill Burleson who had a specific set of questions he wanted covered as he was conducting research at the time. He turned it over to Rebecca, who hosted the meetings for awhile then,she turned it over again. They’ve been meeting at the South Side Cafe for some years now, and eventually moved to the Exchange Room right adjoining the cafe. They meet every second Thursday of the month, from 6 - 7:30 pm when the space closes. I’ve attended a couple and they are enlightening and empowering, and have seen participating members form a cohort that has led to more involved work with BOP. The format is of rotating set of questions, on being bi and out in the workplace, in family gatherings, during the holidays, what we want for the future of the community, lessons learned from our personal journey, coming out, Because Conference stories. She says it’s a great place to talk about issues and events that we’re unable to in our normal lives, as being Bi is a given. Vera got involved with BOP by participating in other activist oriented organizations and she was looking for polyamorous community, when she realized that she loved both men and women and that she was bisexual. She had kind of an Aha! moment at the Because Conference she was attending. She has been a BOP board member and stepped into the discussion group moderator role when a vacancy came up. She has experience working with sensitive groups and is especially able to intercept a dark curve as it approaches the standing topic on the floor. She hopes that the discussions can continue to excite, help form friendships and provide support. The experience that many have is that they are not alone, no matter our differences, we share similar struggles, especially erasure. She thinks it’s time for someone new to take on the group, for new energy, new blood. The next leader will have to recruit and advertise for more participation from BOP membership and new joiners. Vera has been in the Twin Cities since 2008, and graduated from UMN in 2010 and that’s when she started looking for different communities. 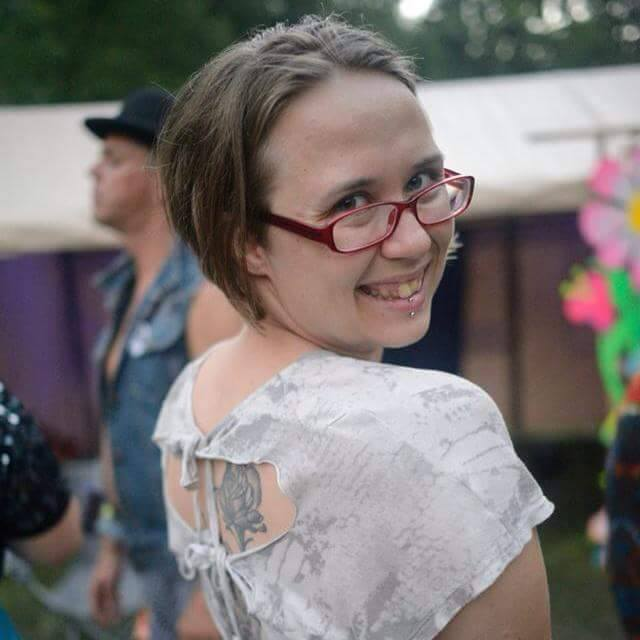 She works in the circus arts: pole dance, lyra, silks, acro yoga, and hula hooping and teaches at the Rabbit Hole. She has already found a job in Seattle where she can use her circus talents, and is looking forward to living in a community that is so proactive about protecting the environment, supporting LBGTQ communities, and an active life. We will miss her and wish her well in her new adventures.